Rep. Nancy Pelosi (D-CA) has done what we all knew she was going to do if the Democrats retook the House: mount a bid for speaker (again). It’s a slam-dunk, right? Well, she isn’t exactly the real face of the party. Moreover, she’s incredibly unpopular, a figure that jacks up the GOP base (and fills its campaign coffers), and a whole host of new Democrats don’t support her bid in the leadership. The question is whether the new class sticks to their word. Pelosi did raise money for them, despite their explicit opposition to her reassuming the House speakership. In all likelihood, this leadership fight will end like the last Congress, where Pelosi was easily re-elected by Democrats to be minority leader. But for the sake of argument, we already have the stories that her speakership bid could hit obstacles and that it isn’t being warmly received by some top Democrats. 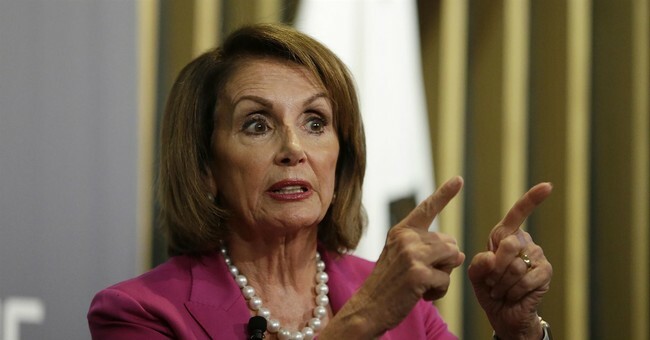 By 56% to 39%, Democrats and Democratic-leaning independents said Nancy Pelosi should be replaced as their leader in the House rather than kept in that role by being elected the next speaker. These views are similar among Democrats across the ideological spectrum. In total, that could give the anti-Pelosi coalition 15 members. According to Wasserman, Democrats “could wind up [with] only a dozen seats over 218.” If Democrats end up with just 230 House members, and 15 of those members have pledged to oppose Pelosi, she will be short of the 218 votes she needs to be speaker. Now, the question is whether this crew can stick together. As newly elected members of Congress, I doubt they will remain firm. They want to do things, all freshmen do, and they’re probably not going to risk being declared persona non grata by the more senior members of their Congress by opposing Pelosi. On the other hand, if they do stick together—what an exciting January we have coming up.